Sealey’s new range of ratchet type axle stands have cast iron support posts and tough steel plate welded bases. The angled teeth in the posts prevent accidental release of the load – the more weight that is applied, the tighter the post is locked. Each axle stand has a two tonne capacity and a min/max working height of 276/435mm. VS2002BL – Blue, VS2002HV – Hi-Vis Green, VS2002OR – Orange and VS2002 – Red. 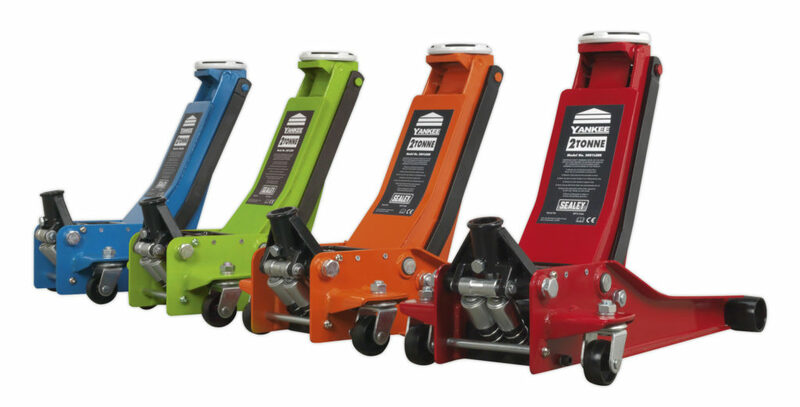 They are sold in pairs and are available in the same colours to complement its 2001LE range of Trolley Jacks.